As the XFL prepares to reboot, commissioner Oliver Luck acknowledged that a pair of high-profile stars are on the league's radar. Luck went on The Ken Carman Show With Anthony Lima on Wednesday and talked about whether former San Francisco 49ers quarterback Colin Kaepernick could get a look. "I have no idea whether Colin is in shape or not. Whether he wants to play," Luck said. "We are a league that has salary restrictions and obviously, at least based on what people have said, that might play a role in his desire to play." As for 2012 Heisman Trophy winner Johnny Manziel, nothing has been ruled out. "As long as he fits our profile and our behavioral standards, and our eight head coaches think he is a guy that makes us better...if Manziel is in that group, I'm sure he'd have an opportunity. We have had no contact with him," Luck said. A second-round pick by San Francisco in 2011, Kaepernick quickly rose to NFL stardom. He filled in for an injured Alex Smith in 2012 and led the 49ers to a Super Bowl appearance. He then led them to the NFC Championship Game in 2013. Kaepernick signed a six-year, $126 million extension in 2014. While that deal appeared to solidify his standing in the league, his days in the NFL were numbered. After being benched in favor of Blaine Gabbert in 2015, Kaepernick completed just 59.2 percent of his passes for 2,241 yards, 16 touchdowns and four interceptions in 12 games in 2016, adding 468 yards and two scores on the ground. That season, Kaepernick spearheaded the protest against social injustice by kneeling during the national anthem. He opted out of his contract in March 2017 and has not been on an NFL roster since. As Luck noted, there are questions surrounding the 31-year-old's contract demands. Michael McCarthy of Sporting News reported in February that the ex-49er was seeking "at least" $20 million to play in the XFL. Darren Rovell, then of ESPN, noted in July 2018 that players would receive an average of $75,000 per season. Meanwhile, Manziel spent just two years in the NFL after becoming a first-round pick in 2014. He completed 57 percent of his passes for 1,675 yards, seven touchdowns and seven interceptions in 15 games for the Cleveland Browns. The team released him in 2016. He has since participated in the Spring League, the Canadian Football League and the now-collapsed Alliance of American Football. The CFL's Montreal Alouettes released Manziel earlier this year for violating the terms of his contract. XFL owner Vince McMahon previously made it clear the league would not sign anyone with a criminal record, though Rovell later reported Manziel was still potentially eligible. 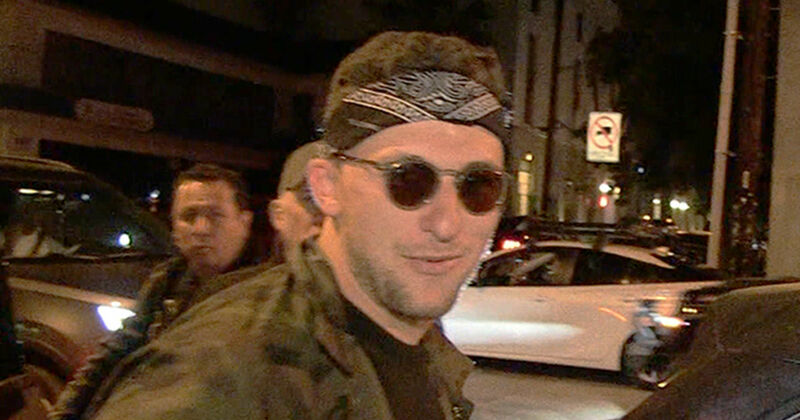 Manziel was arrested in June 2012 on a disorderly conduct charge, among others. He was also indicted in 2016 on a misdemeanor charge after Colleen Crowley, his ex-girlfriend, told police he assaulted her. The charge has since been dismissed after Manziel agreed to a plea deal. The XFL—which will feature eight teams—is expected to kick off at some point in 2020.